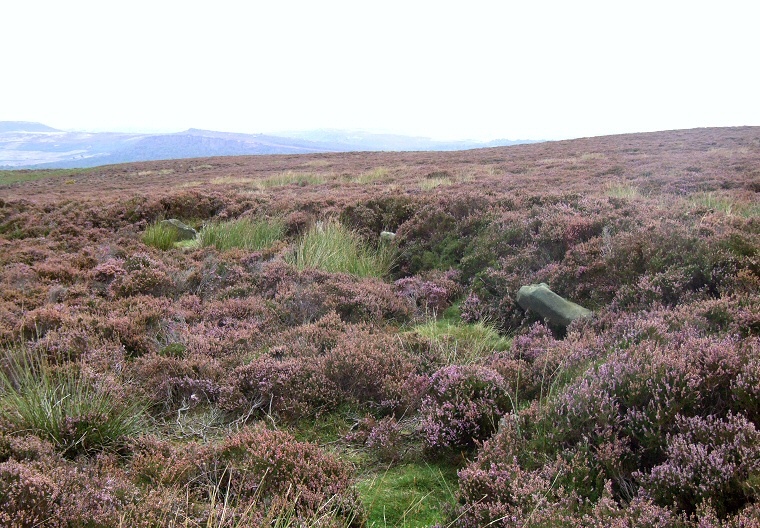 Set on a gently northwest sloping shelf high on Eyam Moor at 339 metres above sea level the stones of Wet Withens stone circle are almost invisible beneath a thick covering of heather and tall grasses. Indeed many people would not even notice the site as it is so badly overgrown and no paths pass anywhere near it - the nearest track is 500 metres away and reaching the circle from here involves an arduous uphill trek through that thick heather. Even when you get there it takes a moment or two to recognise the remains for what they are - the largest embanked stone circle in Derbyshire. It is this bank that allows you to gain an understanding of the site, it is slightly oval measuring 29-31 metres on its inner edge and extending a further 3-4 metres beyond and about a metre tall (although this is difficult to gauge due to the covering vegetation) and does not appear to have any entrances. Set within the inner edge of the bank are 10 smallish stones ranging in height from about 25cm to 70cm, some are standing while others are leaning. It has been suggested that there may have originally been up to 18 stones here, the missing stones either carted away for other purposes in recent times or buried beneath tumbled parts of the bank. There is also a suggestion from the late 19th century that there was a standing stone at the centre - whether this ever existed or not is in doubt, what does remain towards the centre however is a small cairn of stones. 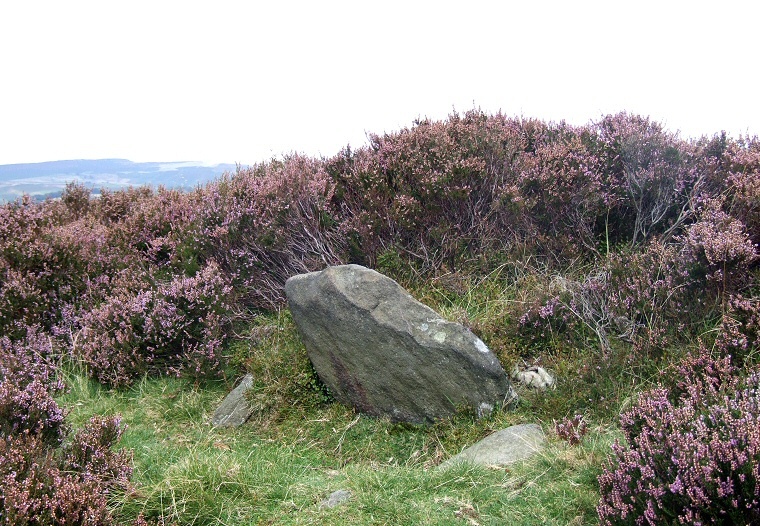 The most noticeable of the circle stones stands to the northeast and is thankfully free of vegetation. It is also the tallest stone at the site and has a small ledge cut out of its inner face so that it resembles a small chair as well as having a couple of small possible cups on its outer face. 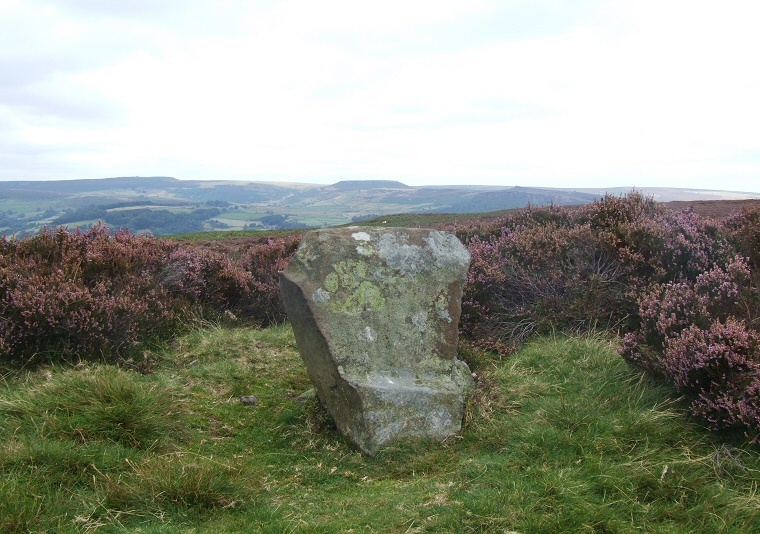 The top of this stone bears a strikingly similar profile to the outcrop of Higger Tor which can be clearly seen 4.25km (about 2.6 miles) away to the northeast and it is from behind Higger Tor that the midsummer sun rises when seen from the circle. About 10 metres to the north of the circle is the large pile of stones of Eyam barrow. The location of Wet Withens gives it a fantastic 360 degree view of the surrounding landscape, particularly from the northwest round to the northeast beyond the valley of the River Derwent - this is difficult to photograph but is well illustrated by the 360 degree panorama.